When talking of firms offering embroidered dresses, one cannot miss out Taana Baana. It provides a wide range of embroidered fabrics for different seasons. 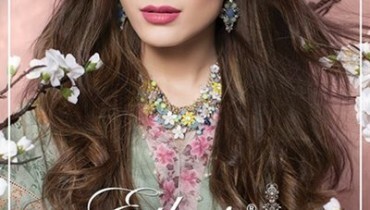 After Taana Baana winter collection 2013, the brand has released Taana Baana winter 2013 new arrivals which provide some new designs for its collection. 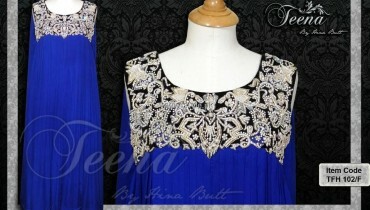 The new arrivals in the winter collection of Taana Baana also include nice designs with embroidery. These designs are on unstitched clothes having shirts, shalwars and dupattas. The clothes in the collection of Taana Baana winter 2013 new arrivals for women all have nice designs featuring traditional motifs. Overall, the collection of Taana Baana winter 2013 new arrivals is another superb new collection from this brand. Taana Baana is one of the known embroidered clothes brand in Pakistan. It provides embroidered fabrics for women. It has been doing so since the last several years. It aims to provide nice stylish looks for its clients with its stylish dresses. These stylish looks are provided while saving the cost and effort to the customer. Careful finishing, artistic looks and trendy style can be seen in the dresses of Taana Baana. The clothes of Taana Baana are easily available as Taana Baana has different stores in the country through which these clothes are sold. You can see pictures of Taana Baana winter 2013 new arrivals below. These clothes are now available through the stores of Taana Baana. You can locate Taana Baana stores with the help of the brand’s facebook page. So, go on and visit the Facebook page of Taana Baana and locate your nearest store. After that visit your nearest Taana Baana store soon and grab your favorite design. To help you in finding the Facebook page of Taana Baana, we have given the address of the page over here for you.